We are pleased to announce that we have revived this project and you may now purchase a plate to add to the new plaque. if applicable the year that they graduated. 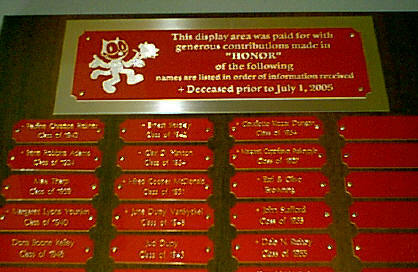 These are names of people that have, or have had someone make a donation to have their name put on the In Honor Plaques. They are displayed in the high school. These names stay on this page forever and the new ones are added to the March Alumni Newsletter every year. 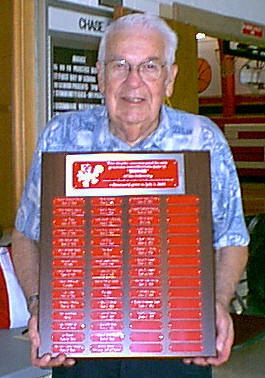 Sam Casey, Class of 1958, given by Wanda Casey Blankenship & Betty Casey Collins.